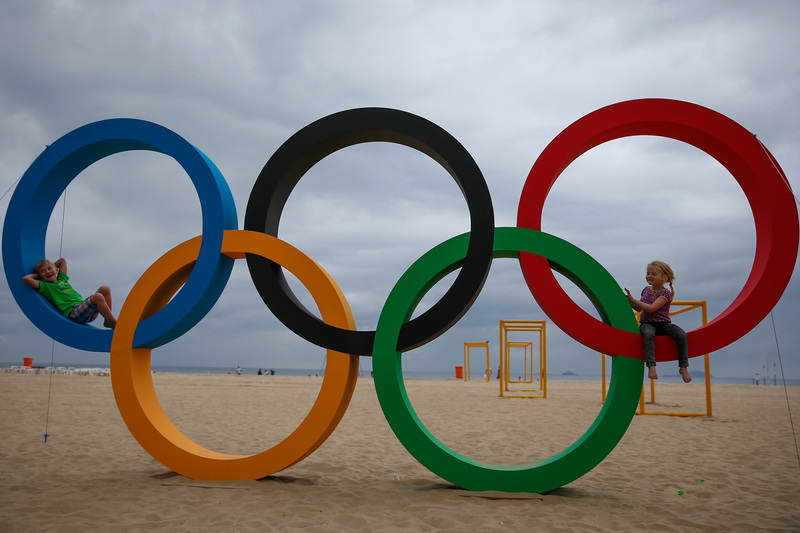 The 2016 Summer Olympics are rapidly approaching, with thousands of athletes from around the world set to compete in Rio de Janeiro, Brazil, for three weeks in August. The London Summer Olympics were notable for being the first to feature a female athlete in each delegation, but how many female athletes are competing in the 2016 Olympics? According to the Olympic Association, at least 10,000 athletes are set to compete in this year's games, but qualifying trials will continue until the last few days leading up to the opening ceremony on Aug. 5. As a result, the official list of competitors is still in flux, and there's no way to tell exactly how many women will compete yet. That being said, this year is already shaping up to be packed with girl power. According to Refinery 29, approximately 45 percent of participants in the 2016 Olympics will be women — the highest number of female competitors to date. The United States has broken a record of its own: Team USA recently announced its lineup for the Rio Olympics, and out of 555 competitors in 27 different sports, 292 are women. This isn't the first time that women outnumbered men on Team USA — that honor went to the 2012 London games — but it's the largest amount of women competing for any nation in Olympic history. "Today we applaud a diverse and distinguished group of our nation’s greatest athletes, who will represent Team USA in Rio. ... I am especially excited for the historic achievement of our women’s delegation, which is a true testament to the strength and growing number of women’s sport opportunities in the United States," said Scott Blackmun, CEO of the United States Olympic Committee, on the organization's website. In 2012, NPR reported that women on Team USA won nearly twice the number of medals as their male teammates; this was the same year that two women represented Saudi Arabia in the Olympics for the first time. Saudi Arabia recently announced it will send four female athletes to the games this year, but you'll have to wait and see whether the women of Team USA will repeat their stellar performances at the last Summer Olympics. Fortunately, even if you don't have a television, NBC is doing its best to get people to watch the Rio Olympics — check out the different ways you can tune in to the games on its website.